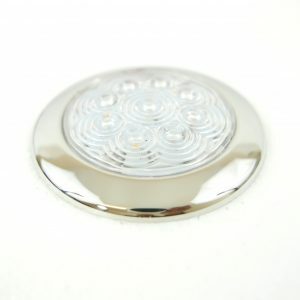 Smaller version of this elegant Cabin Dome LED light with Stainless Steel 304 casing, and integral switch. 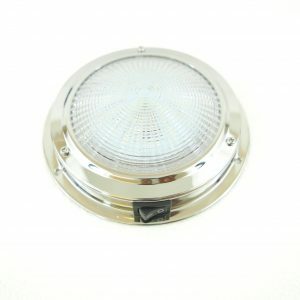 Larger version of this elegant Cabin Dome LED light with Stainless Steel 304 casing, and integral switch. 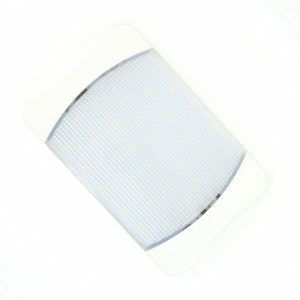 Very compact cabin light, surface mounted and protruding only 9mm. Super bright LED. Suitable for both 12-24V DC systems. Marine grade Stainless Steel Trim. 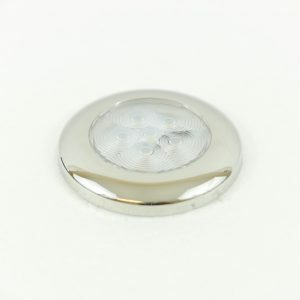 Super bright LED cabin light, surface mounted and protruding only 10.6mm. Suitable for 12V DC systems. Waterproof to IP67. Bright LED working lights suitable for installation in Engine rooms and recessed spaces. White Plastic casing. Suitable for 12V and 24V systems. 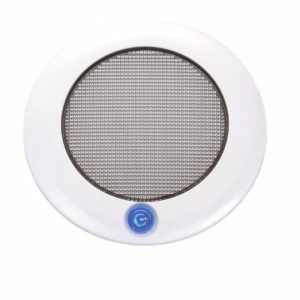 Surface mount slim cabin light with integral touch switch. Switch glows in the dark.